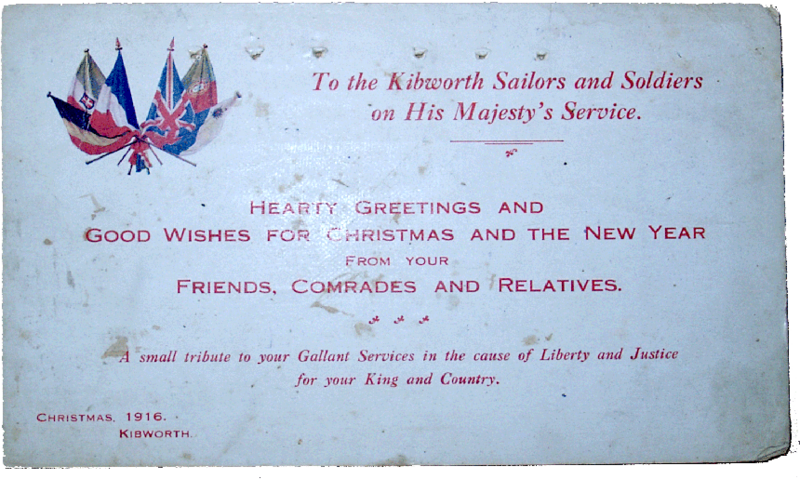 Kibworth has three war memorials: a wooden plaque inside St Wilfrid’s church, a limestone monument in the graveyard of St Wilfrid’s, and a small brass memorial in the High School on Smeeton Road. The memorials at St Wilfrid’s commemorate both World Wars, whilst the High School memorial records pupils who attended the old Kibworth Grammar School in School Road. The limestone memorial, in the form of a churchyard cross, comprises an octagonal stepped plinth and square base pedestal, chamfered to octagonal at the top and with a simple spur. From this rises an octagonal narrow shaft (square base) with square miniature side shafts. It has a crenellated top and cross octagonal section and is decorated with foliage and central shield. The memorial was unveiled on Sunday 7th November 1920. Smeeton Westerby has two memorials, both inside Christchurch. The WWI memorial is made of marble and the WWII memorial is a brass plaque. 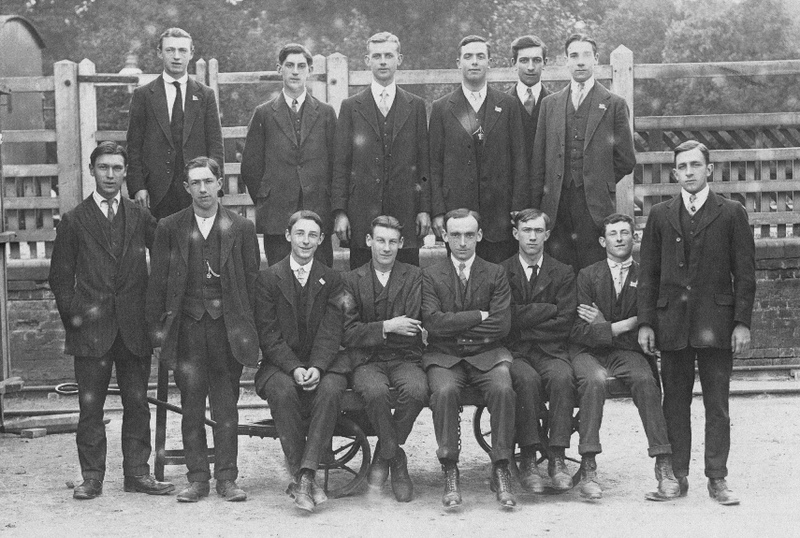 This photograph, taken at Kibworth railway station, shows the 14 employees of Johnson & Barnes who joined up in Leicester as ‘Pals’ on 7th September 1914. Back row left to right: unknown, unknown, Arthur Freer (killed in action), Bert Freer, unknown, R G Lewis. Front row left to right: Len Buckby, Fred Holyoak, Harry Holyoak (killed in action), R G Iliffe, unknown, J W Holyoak, unknown, unknown.